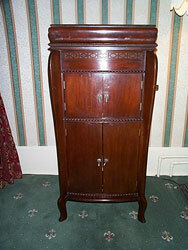 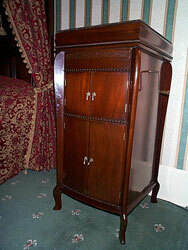 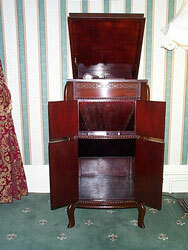 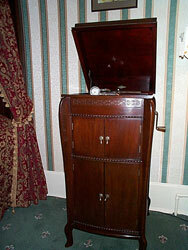 CABINET:--Mahogany or Oak, very highly polished, with folding doors to regulate the volume of sound. 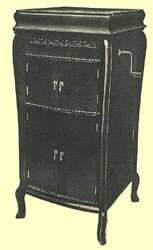 Cupboard for record storage. 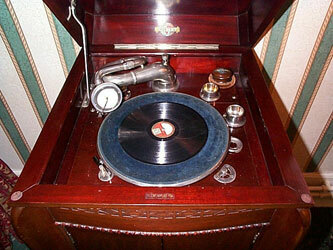 Below are some recent pictures of a Model 52 from my collection.